John G. Harshman joined Frank, Gale, Bails, Murcko & Pocrass, P.C. as an associate attorney in June 2015 and was named partner in 2017. Mr. Harshman is a 1991 graduate of the University of Pittsburgh School of Law. He brings over 24 years of experience in complex divorce litigation, including business evaluation issues. 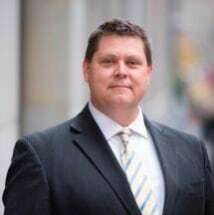 He serves as Solicitor for the Greater Pittsburgh Police Federal Credit Union and also works with the Policemen's Relief and Pension Fund for the City of Pittsburgh. He also has served as a faculty member of the Pennsylvania Bar Institute and conducts continuing legal education credit lecturing on Municipal Pensions and non-ERISA retirement benefits. Mr. Harshman has also dedicated significant personal time to charitable endeavors such as the Susan B. Komen Race for the Cure and the American Heart Association and the American Kidney Fund. Recently, Harshman was honored as the highest private fundraiser for the American Kidney Fund in 2015.